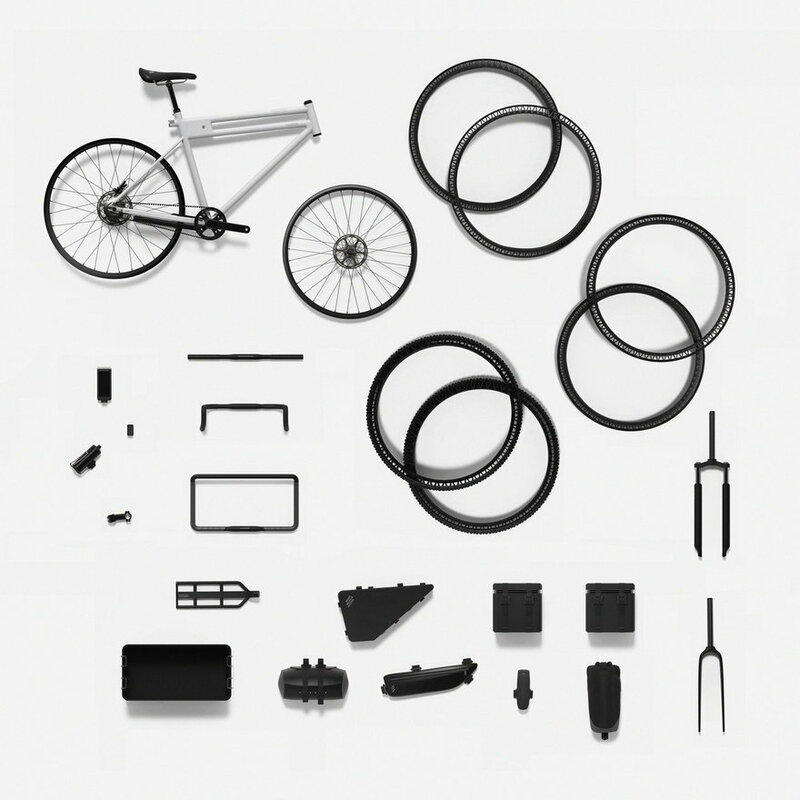 Grade Bicycle System is a modular bike for bikepacking. Bikepacking is self-sustained travel on minimally loaded bikes - literally, a packed bike. Every person and trip is different. Some travel for months on the road and stay hotels. Others like go deep into the woods and sleep in a hammock. You can take long slow trips through the dessert, or camp on top of a mountain then go down as fast as possible. But there's a common thread - bikepackers never want to do the same thing twice. That's what inspired Grade Bicycle System. This isn't the fastest or lightest bike on the market (and that doesn't matter). It's the bike that empowers you to do as many things in your lifetime as possible. Twist to Change Attach different tires by feeding the tire's bead through the rim, and twisting to tighten. Forks A rigid and low rise suspension fork can be swapped without effecting the geometry of the bike. Integrated Cables All brake cables are integrated into the frame, along with a USB port along the top tube. During my research I identified three categories of bikepackers. On one end there's the first timers. They find a trip to match the bike they own, and buy as little as possible. On the other end there's enthusiasts. They own a couple different bikes (I met one with 35 bikes), each for a different terrain and style. In the middle there's the hobbyists - the curious. These are people who are getting into bikepacking and excited to try something new. I talked with several hobbyists, and found a ton more on Reddit and bike forums. They had done a couple trips with the bike they already own, and found trails that suited the bike. They all want to do something different. They went on about fat bikes, gravel trails and mountain biking. Looking online, I found a lot of people asking how hack their bikes into something different. They're ready to make a purchase, but not ready to invest in a bike for something they've never done before. They're willing to and work on their bike, but not comfortable with serious alterations. 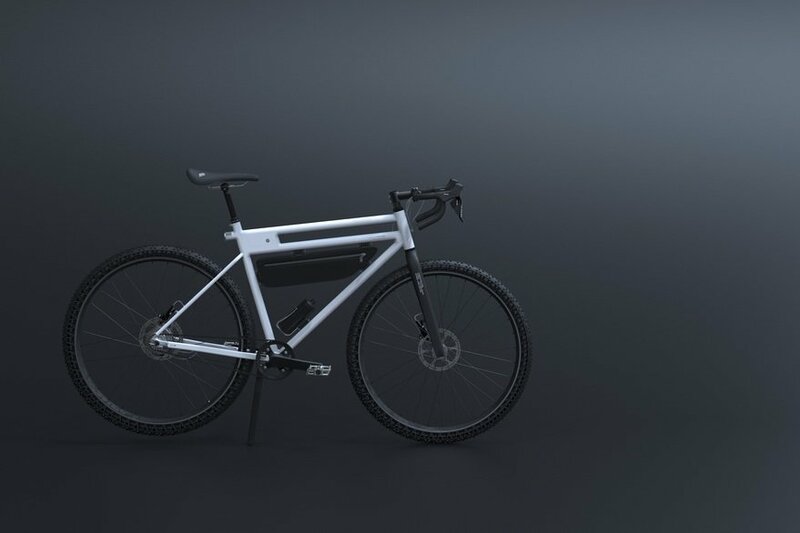 The only solution on the market now is a hybrid bike, but that compromises more than it opens the owners up to. And it isn't capable of the extreme riding that got everybody excited. Grade Bicycle System is for that market opening. The user doesn't need a specialized bike for a particular terrain, but wants something to handle everything they want to try. 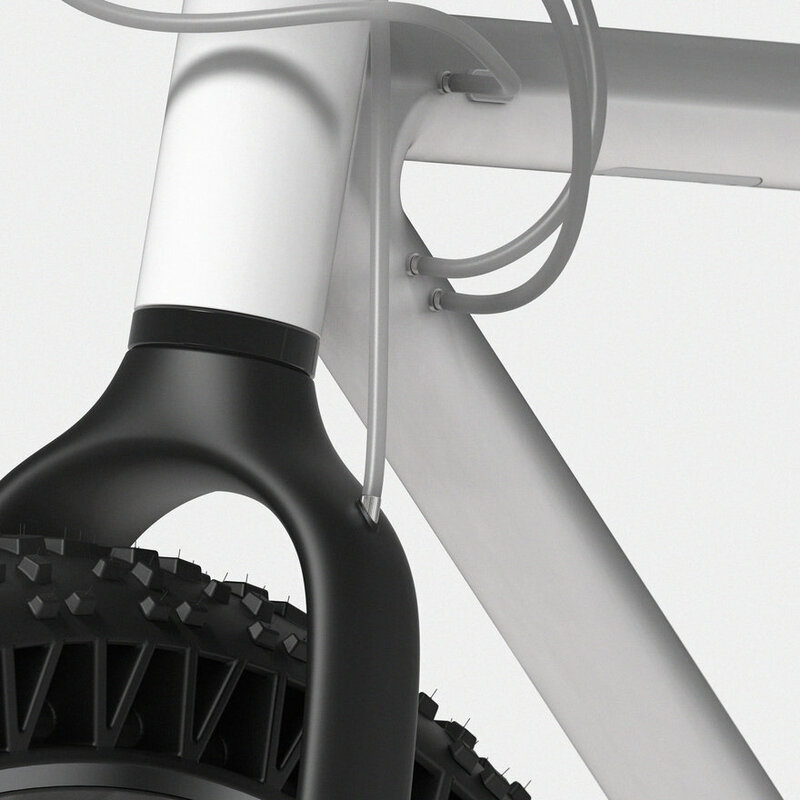 Three key features make Grade Bicycle System modular. 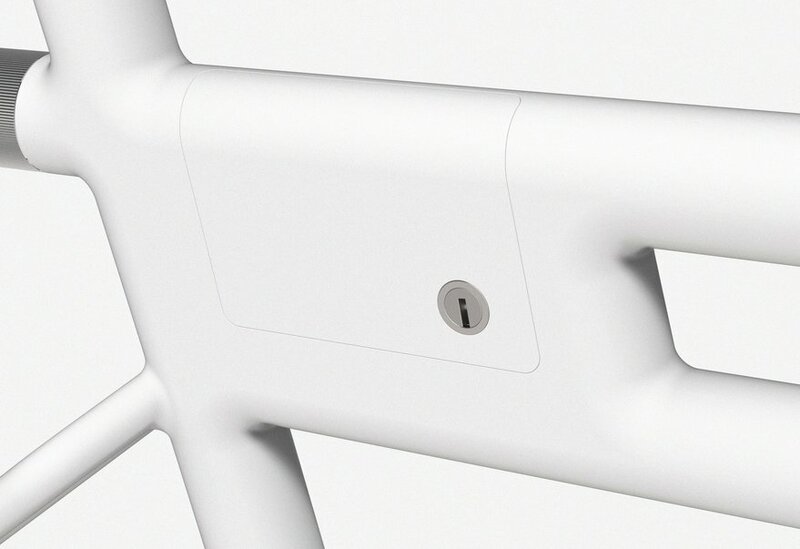 First, the hook and lock system for rear racks. People hold a lot of gear either on a seat post or a pannier rack. Seat post racks are smaller, sit close to the center of the bike and allow more control - for aggressive riding. Pannier racks sit hold more gear but are less stable - for flatter trips. Current racks difficult to change and load, so once they're on the bike they stay. Grade makes the process much quicker: hook the rack into the slots, and twist to lock. 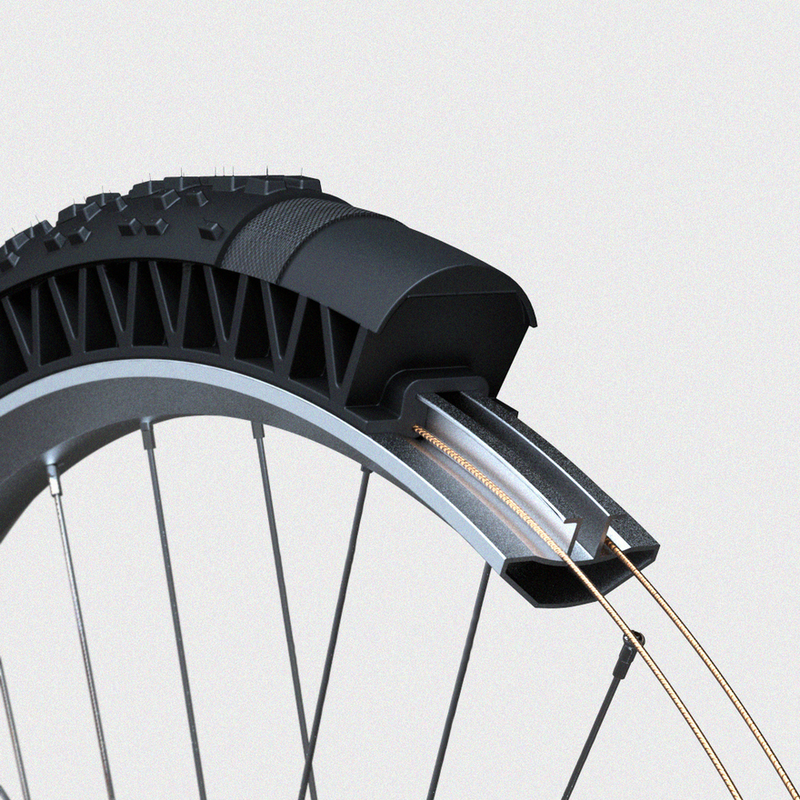 Second, the airless tires. The most important part of handling new terrain is having the right tires. Currently, going for a dramatically different tire means lengthy wheel change. Grade's solution to this is an airless tire. 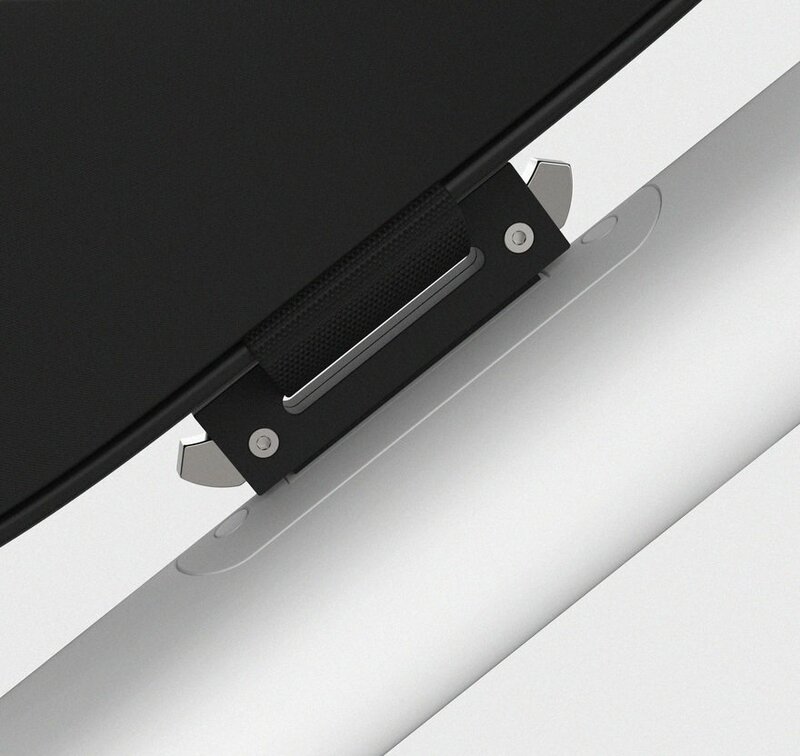 The rim has a central rail, rather than the typical outer rail. This means the the tread of the tire can be wider or narrower without relying on the width of the rim. Of course, this also means no flat tires, no tubes and no pump. Third, the bike has changeable forks. 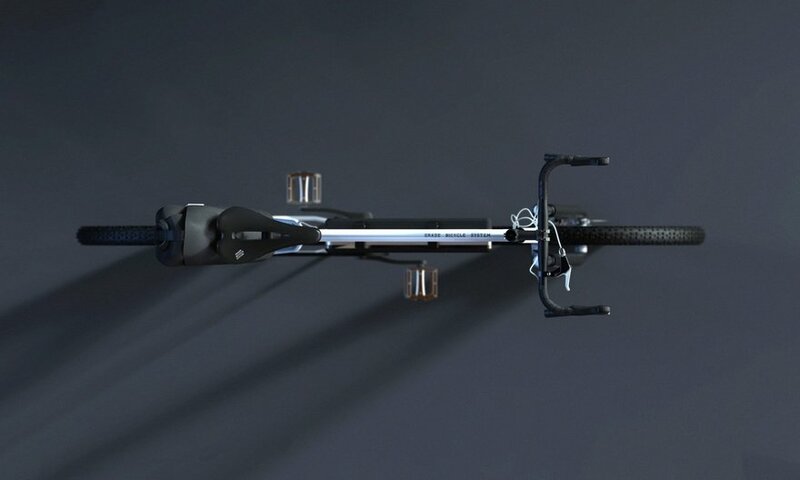 I saw a lot of forum and Reddit posts asking how to hack a bike to put a road fork on a mountain bike, or vice versa. I dimensioned the bike to make sure it fit a the road fork, or the suspension fork. My goal wasn't to make the perfect bike for every terrain, but to make many different terrains accessible. I spent a lot of time packing and prepping for my first bikepacking trip. But, as soon as I started riding, I forgot all about my gear (unless something went wrong). 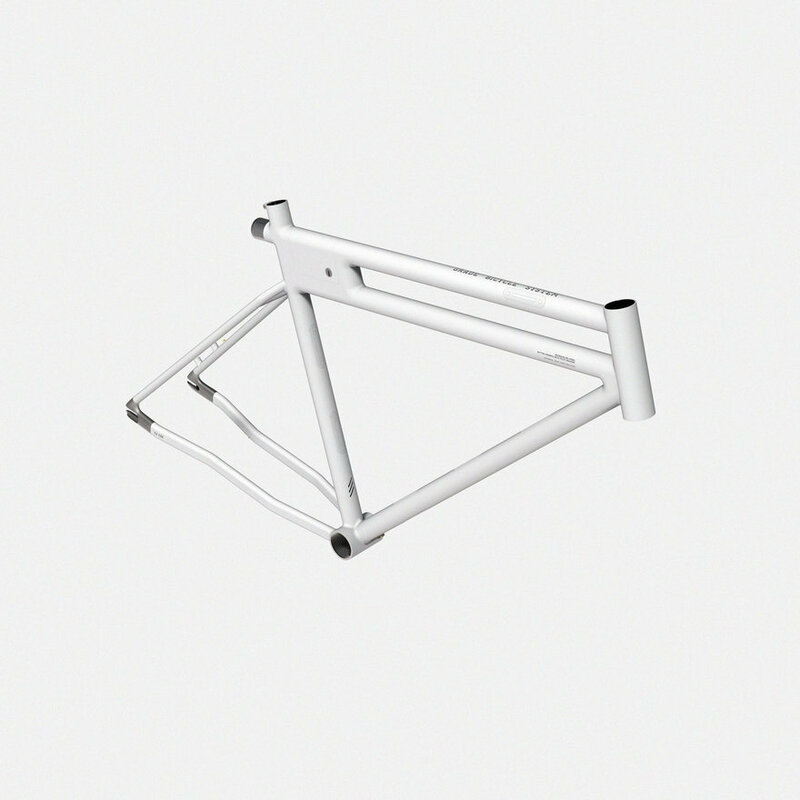 My goal was to design a bike that riders forget about.This user experience centers around an unconventional frame. First, the double top tube. This helps the bike hold weight, and the gap is slightly longer than most tent poles, to fit a one person tent, or half of a two person tent. The small lockbox is waterproof and secure, for wallets, passports or car keys. So you don't need to worry about keeping track of them or keeping them dry in a storm. Running brake cables are inside the tubes to keep the setup clean and avoid damage. 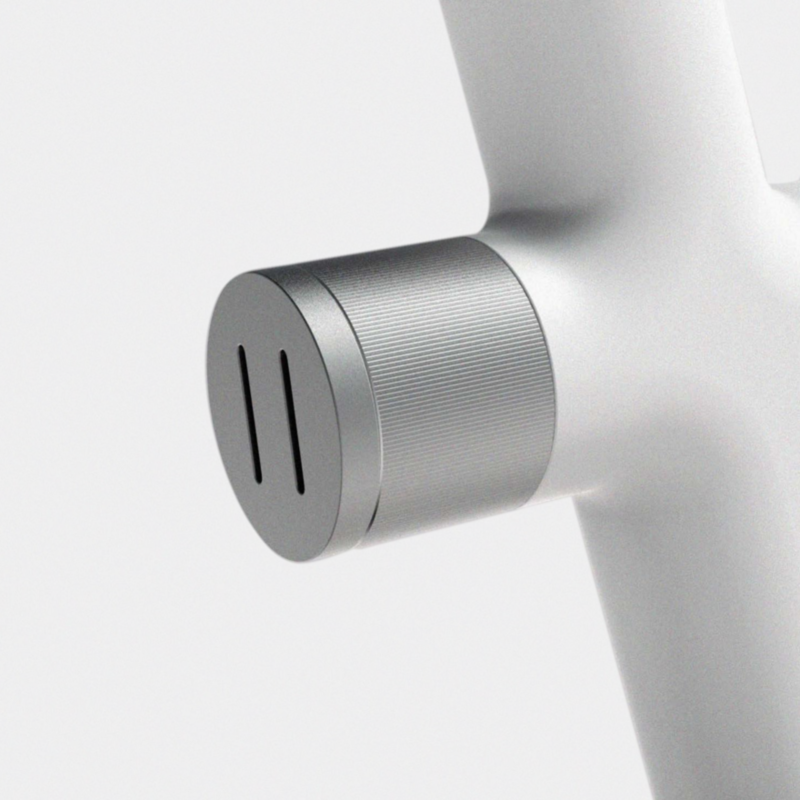 Also, a USB cable that runs from the front of the top tube to the back, and into the lockbox. Some riders like to use a generator hub, external phone battery or solar panel. The cable can bring power from the back of the bike to the front. It's there if you want, but easy to ignore. Cobra clips line frame for bags and accessories. The tight fit reduces swinging and bouncing on sharp turns and rough terrain. Rubber pads around each clip act as shock absorbers. The clips sit flush to the frame, so they don't interfere with using a traditional bag. In most projects, clean design means reducing features. However, bikepackers already carry the bare essentials. A clean design meant finding ways to integrate and organize features. I carefully dimensioned each part to fit industry standards. Not only to be thorough, but to be a viable and valuable concept. Users needed to repair, replace and tinker. Often this meant checking an exciting idea against what would work in reality. For example, I first planned to make a titanium bike. While talking one backpacker, he agreed that a titanium bike would be nice to ride. But, it would be difficult to repair. No matter where you are in the world, when your frame cracks, you're not far from somebody who can weld steel. When your titanium frame cracks, it may end your trip. The bike parts not only need to be repairable, but replaceable. When I was working on a modular wheel, several ideas involved changing the dimensions of the frame where the wheel mounts. In the end none of these ideas were usable. When you damage a custom wheel, you can't rely on any shop to carry the parts. You should be able to walk into Wal-Mart and buy a wheel that fits. On top of this, tinkering and customizing is a huge part of bikepacking culture. As users grow and expand their knowledge of bikes, I want them to swap Grade parts with other bikes. This is important for bikeackers to embrace the concept. I spent a lot of time and effort checking exact dimensions and proper construction . It was critical to make sure that every idea was valuable, not just cool looking concept. 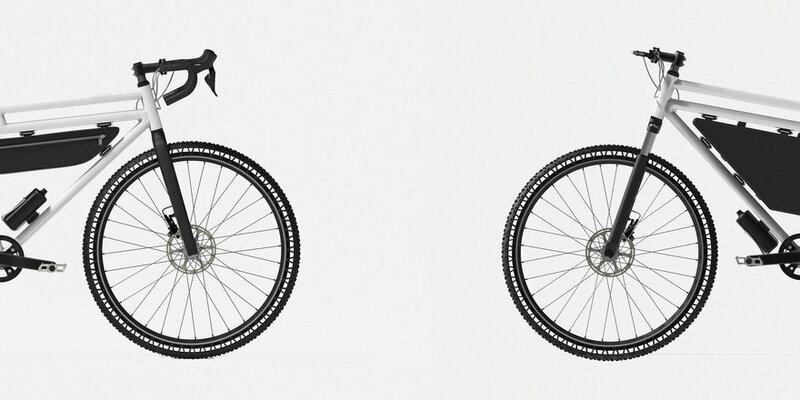 The goal Grade Bicycle System is to make bikepacking accessible to more people. Bikepacking lets you see more than you would walking, and experience more than you would in a car. 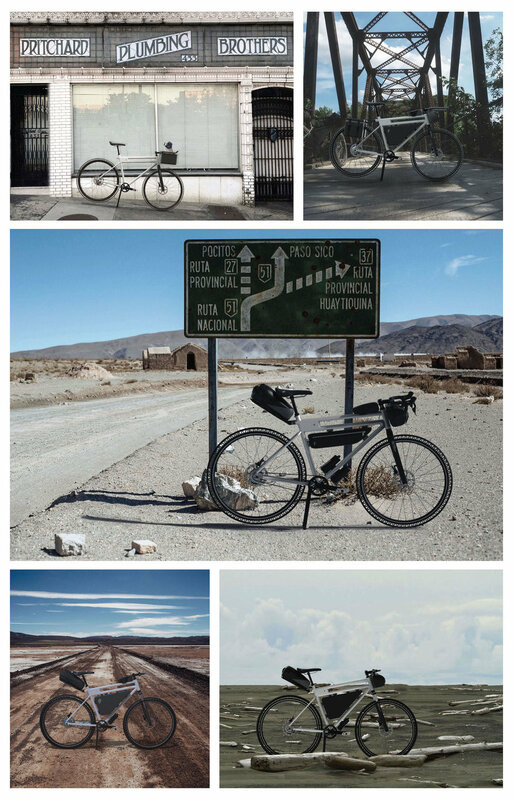 The goal of the project was to break down as many barriers to entry as possible in bikepacking. Over the course of the project, I met a lot of people who are excited about bikepacking, but were lost on their next steps. I looked to design a bike that they could use every day, and empower them do to as many things in their lifetime as possible.